The horse is saddled and the stirrup is set, the People’s Democratic Party (PDP) has tightened its reigns, with acquired skills from the last elections and the party is raring to go. The PDP has started strengthening its institution in two fronts; fund raising and voluntary contributions, and strengthening its office and man power. According to the Secretary General, Yogesh Tamang, on the fund raising front, the party is tinkering on the idea of fund raising events. “It is just a thought for now, we are thinking something along those lines but only time will tell,” said Yogesh Tamang. 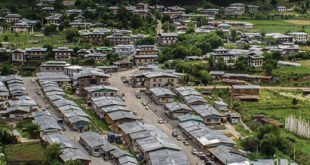 The works on fund raising and voluntary contributions comes after the Election Commission of Bhutan’s (ECB) deadline of clearing off its debts by the end of this month. At this juncture, the PDP is left with 40% of uncleared debt that amounts to a balance Nu 3.5mn. The party has cleared Nu22mn of its debts. 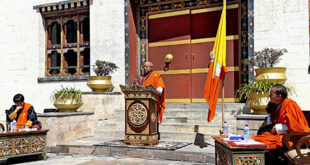 The Opposition Leader (OL) also the party President, Tshering Tobgay, said PDP was facing delay in raising funds through voluntary contributions, since most of its members were aware that their contributions will be routed towards clearing previous debts, and not towards strengthening the party. “They are reluctant to make contributions,” said the OL and added that the one factor keeping the members intact was PDP’s participation in this upcoming election. “The members know that in order to partake in the 2013 elections, the debts need to be cleared,” the OL said. Apart from the three means of registration fees, annual membership fees, and voluntary contributions by registered members it has no other way to pay off the Nu 3.5mn. The OL said they were trying hard to clear off the debt in accordance with the electoral laws. Word going around is that the OL plans to sell his land to pay off the party’s debts, the OL has however denied such claims. Lyonpo Sangay Ngedup although not a registered party member but always regarded by the PDP as a member and a supporter of the party has contributed Nu 20mn toward the above debt clearance, excluding the Nu 10mn, which is believed to have been contributed by his family members. The OL did not confirm this piece of information as true. 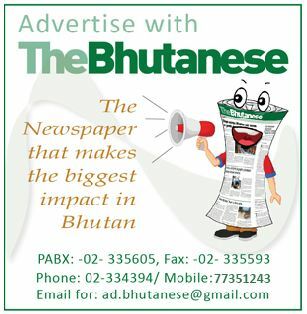 He however said that a complete list of members, who made voluntary contributions, will be made public after submitting the list to the Election Commission of Bhutan (ECB). The list will be submitted sometimes in July. The PDP is determined to be debt free before the ECB’s deadline and is confident that the party will settle the debts by then. The confidence of the PDP perhaps stem from the growth in the number of its members which up-until a while back was not very encouraging. This Monday, the party saw a rough estimation of 180 members, according to Yogesh Tamang, the number have been increasing by the day in the range of three to 20 members a day. Yogesh Tamang said all of them were making voluntary contributions, which differed from person to person and company to company. The contributions, he said went from Nu 10,000 and above and sometimes even Nu 50,000 was contributed. Of the entire amount that the party owes to Lyonpo Sangay Ngedup and the media houses; the OL said it will be made up from the above three electoral mechanisms. On the topic of strengthening its office and man power, the PDP, has already identified and nominated people to run the head office in Thimphu. A former employee of Greener Ways, Sonam Wangyel, has been nominated as the youth coordinator while a businessman named Sangay T. has been nominated for the research desk and more would be nominated in this department gradually. A private entrepreneur, Rinzi Wangda, has been nominated to head the private sector business development. And two women from the private sector have been identified for the post of women coordinator, since only one will be selected, the nomination is still underway. Meanwhile, the PDP plans on establishing more PDP offices in various dzongkhags. Previous Who can replace the Tshogpon? loading of hourse is still incomplete. require fill in the blank. PDP, wish u a good luck.